Fill a rocks glass to the rim with ice cubes. 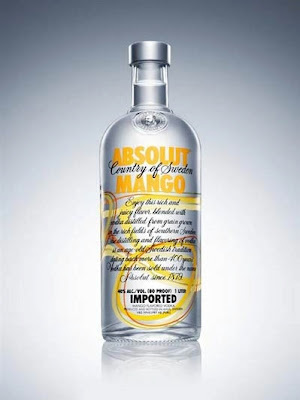 Pour absolut mango, lemon juice, simple syrup, and egg white into a shaker. Fill the shaker with ice cubes and shake it until the shaker is very cold. Strain the drink into the rocks glass. Garnish with a cinnamon stick and a mango slice. hi po, diba ung eggwhite liquid? pano ung dash nun? tsaka bt nwala na sa mix? oops, tama po kayo, nawala yung egg white sa recipe. na-dagdag na po namin. now how much is a dash? it's about 1/8 of a teaspoon (or half of a 1/4 teaspoon), more or less.